433 Marlborough is located on the north side of Marlborough, between Massachusetts Avenue and Charlesgate East, with 431 Marlborough to the east and 435 Marlborough to the west. 433 Marlborough was built in 1885 for Chadwick & Stillings, for speculative sale, one of eight contiguous houses (431-445 Marlborough). Chadwick & Stillings (N. Henry Chadwick and Oscar L. Stillings) was a hat block and flange company that became a significant house building firm in the 1880s and 1890s. They are shown as the owners, architects, and builders on the original building permit applications for 431-445 Marlborough, dated June 16, 1885. 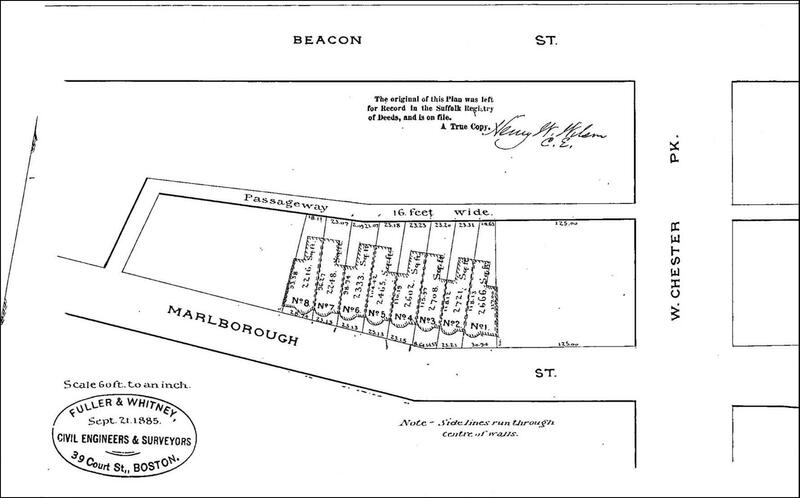 Click here for an index to the deeds for 433 Marlborough, and click here for further information on the land west of Massachusetts Avenue between the south side of Beacon and the north side of Commonwealth. On October 16, 1886, 433 Marlborough was purchased from Henry Whitney by attorney James H. Young, and on October 27, 1886, he conveyed the property to Dr. Edward C. Briggs. He and his wife, Lou (Lord) Briggs, made it their home. They previously had lived at 5 Walnut. Edward Briggs a physician and dentist, and a professor at Harvard Medical School. He maintained his office at 1 Mt. Vernon. By the 1888-1889 winter season, Edward and Lou Briggs had moved to the Hotel Brunswick (southeast corner of Clarendon and Boylston). At about the same time, he purchased 125 Marlborough, which he converted into medical offices and residential units. When the remodeling was completed, he moved his office there. On September 8, 1888, 433 Marlborough was acquired from Edward Briggs by Joaquin Job Souther. He and his wife, Gertrude Mae (Bouvé) Souther, made it their home. They had married in August of 1888. Joaquin Souther was a brewer in his father’s firm, Joaquin K. Souther & Son, operators of the Burton Brewery, makers of ale and porter. In 1900, the firm went into liquidation and its assets, and the assets of its partners – including 433 Marlborough – were assigned to trustees for the benefit of their creditors. The Southers continued to live at 433 Marlborough during the 1908-1909 winter season, after which they made their home in Hingham. On November 27, 1909, 433 Marlborough was purchased from the trustee for the Southers’ creditors by Mary A. (Leland) Southwick, the wife of Dr. George Rinaldo Southwick. They previously had lived in an apartment at 31 Massachusetts Avenue. George Southwick was a homeopathic physician and gynecologist, and was a professor at Boston University’s School of Medicine. He also maintained his office at 433 Marlborough. Mary Southwick died in October of 1923. The Southwicks had no children, and George Southwick inherited one-half interest in 433 Marlborough and her surviving heirs at law inherited one-eighth interest each: her two surviving siblings, Ella Abby Leland and Edmund Francis Leland, Jr., and her two nephews, Richard Cutler Leland, the only child of her deceased brother, Willis Daniels Leland, and Leland Gay Darrow, the only surviving child of her deceased sister, Ada E. (Leland) Darrow, the wife of Alfred Lyman Darrow. On October 14, 1925, the Leland family members’ interests in 433 Marlborough were acquired by the Cambridge Improvement Corporation, organized by George Southwick to hold his property. On January 13, 1927, the Cambridge Improvement Corporation acquired Leland Darrow’s one-eighth interest, and on July 28, 1927, it acquired George Southwick’s one-half interest. George Southwick continued to live and maintain his office at 433 Marlborough. Annie Southwick continued to live at 433 Marlborough and on October 15, 1942, the Cambridge Improvement Corporation (of which she was the president) transferred the property to her. Annie Southwick died in May of 1945. On September 13, 1945, 433 Marlborough was acquired from Annie Southwick’s estate by Hugh Macdonald. 433 Marlborough became the home of Rene Marchant and his wife, Alice (Breitel) Arnaud Marchant. They previously had lived at 158 St. Botolph. He was a chef and hotel food service manager. The Marchants subleased a portion of the house to Dr. Leo Alexander for his office. He lived in Newton. Leo Alexander was a physician and psychiatrist. He served as chief medical advisor to the American Counsel at the Nuremburg Trials in 1946, and wrote the Nuremburg Code, which established ethical and legal principles relating to medical experimentation with humans. He subsequently was an assistant clinical professor at Tufts Medical School and also served as a consultant to the Boston Police Department, and was credited as being instrumental in solving the Boston strangler case. He continued to maintain his office at 433 Marlborough until the mid-1970s. On August 23, 1949, Alice Marchant purchased 433 Marlborough from Hugh Macdonald, acquiring the property as trustee for the benefit of her two sons by her first marriage (to Frank Arnaud): Edouard X. Arnaud and Rene E. Arnaud. At about the same time, the Marchants separated. 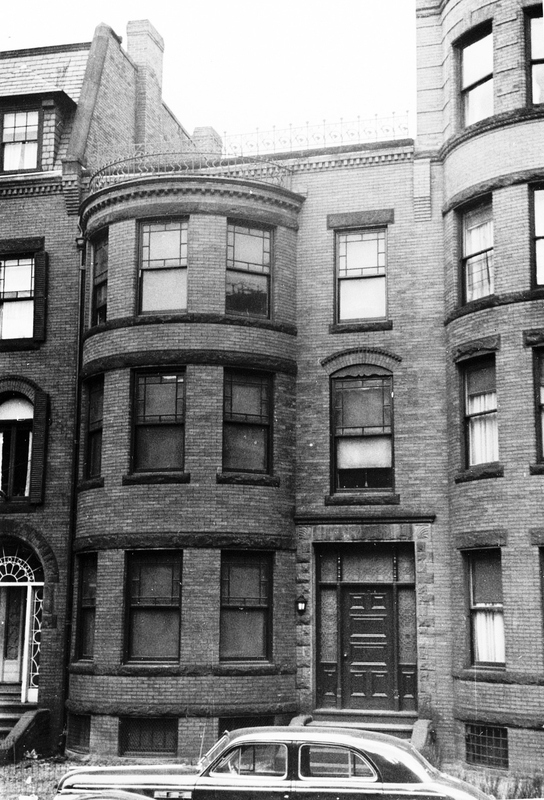 Alice Marchant continued to live at 433 Marlborough until her death in November of 1976. 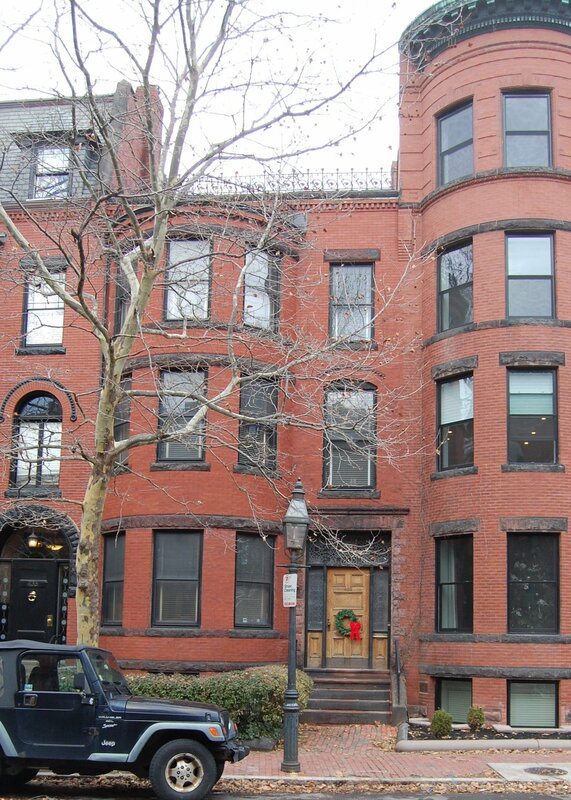 On July 1, 1977, 433 Marlborough was purchased from Edouard Arnaud and Rene Arnaud by Peter P. Papesch, an architect and real estate developer, and his wife, Barbara G. Papesch, as trustees of the 433 Marlborough Street Trust, of which they were the two beneficiaries. 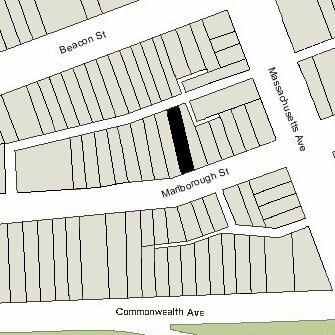 In June of 1977, in anticipation of the purchase, Peter Papesch filed for (and subsequently received) permission to legalize the occupancy of 433 Marlborough as a single-family dwelling and professional office, there being no prior record of the legal occupancy on file with the Building Department. On February 1, 1982, Peter Papesch transferred his beneficial interest in the property to his wife. In December of 2005, Barbara Papesch filed for (and subsequently received) permission to convert the property from a single-family dwelling and professional office into a two-family dwelling and professional office. The Papesches divorced and on June 30, 2006, Peter Papesch withdrew as a co-trustee of the 433 Marlborough Street Trust. 433 Marlborough remained a two-family dwelling and professional office, assessed as a combined residential and commercial building, in 2018.